Jaeho Kang‘s talk about Walter Benjamin, phantasmagoria, spectacle, media and public space.. The talk is based on his book Walter Benjamin and the Media: The Spectacle of Modernity. Walter Benjamin (1892-1940), one of the most original and perceptive thinkers of the twentieth century, offered a unique insight into the profound impact of the media on modern society. Jaeho Kang’s book offers a lucid introduction to Benjamin’s theory of the media and its continuing relevance today. 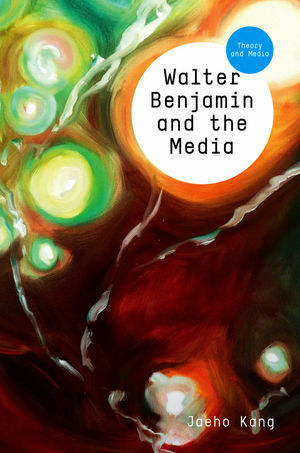 The book provides a systematic and close reading of Benjamin’s critical and provocative writings on the intersection between media – from print to electronic – and modern experience, with reference to the information industry, the urban spectacle, and the aesthetic politics. Bringing Benjamin’s thought into a critical constellation with contemporary media theorists such as Marshall McLuhan and Jean Baudrillard, the book helps students understand the implications of Benjamin’s work for media studies today and how they can apply his distinctive ideas to contemporary media culture. The audio file can be downoaded from tripleC.